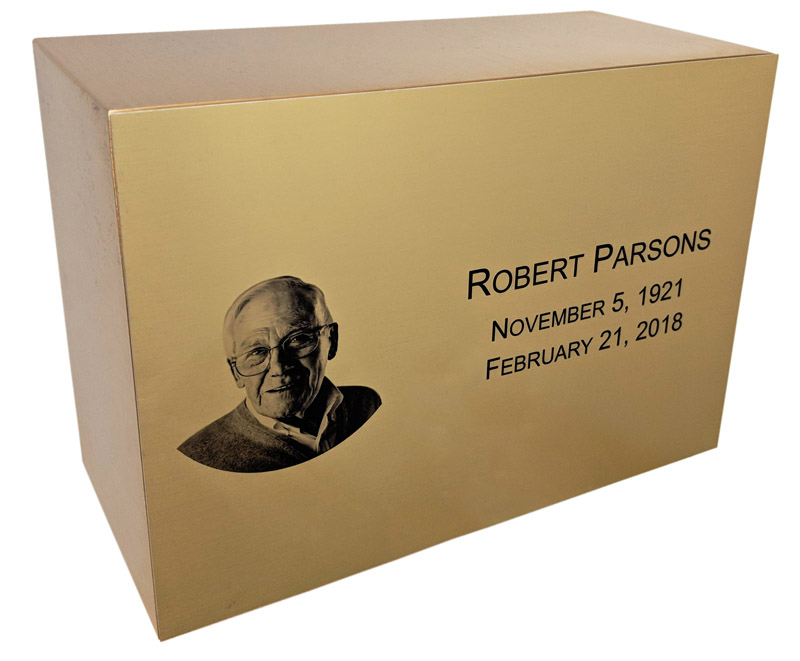 The vast majority of our urns and keepsakes are available for personalization. 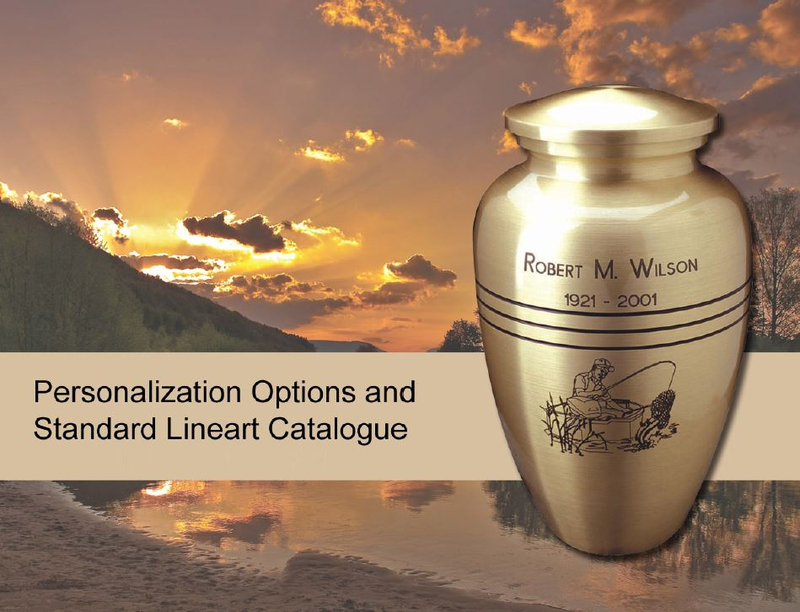 For urns that cannot be directly personalized directly onto the surface of the urn, we offer urn medallions that can be engraved and hung around the urn. 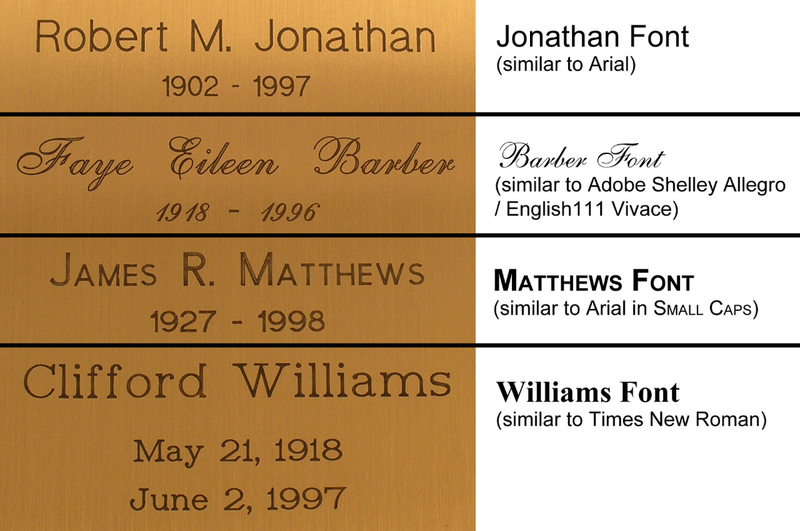 When you order a customized urn or keepsake, the Eckels team sends you a proof for you to verify before proceeding with the order, so that you can see how the engraving will look on the urn and have the opportunity to make any adjustments you’d like. 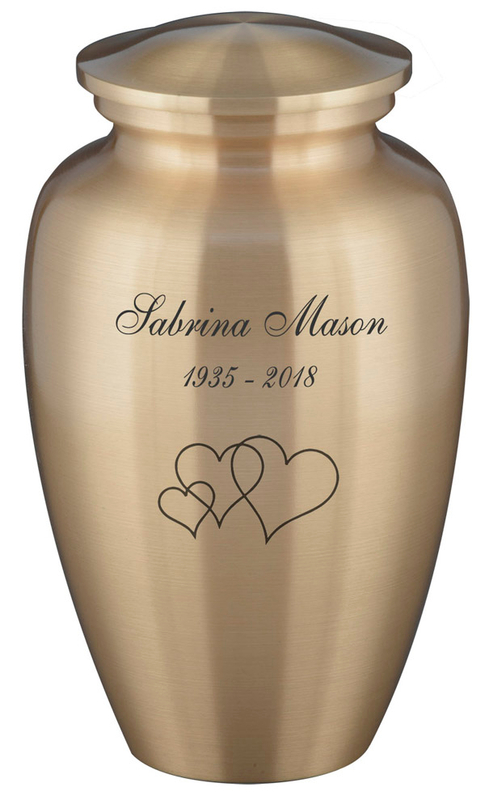 • Engraving: Etching a design directly into the material of the urn. #545 Grecian urn shown with engraving. • Impressions Imaging by Eckels: Available in Gold or Silver (with black lettering), or in Full-Color. 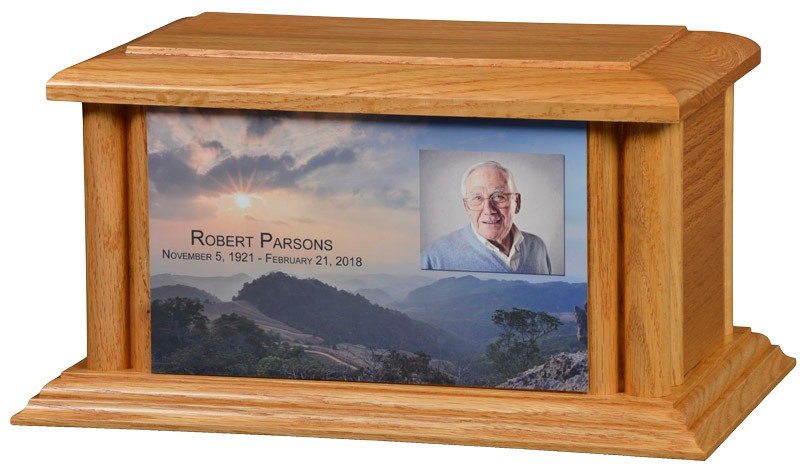 Provide us with a photograph you'd like to use for personalization and we can create a customized piece using our Impressions Imaging process. 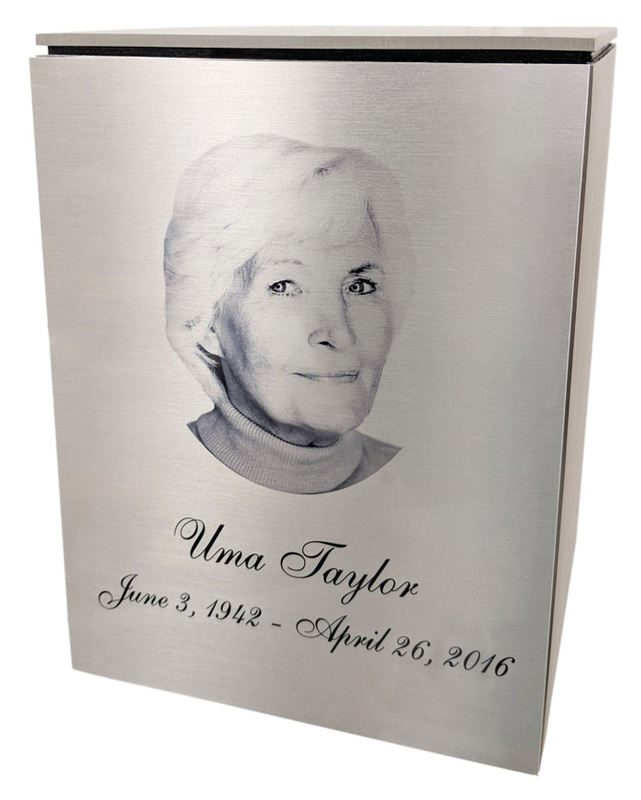 Our Impressions Imaging personalization process is done via heat transfer onto a thin, specially-treated plate, which is trimmed to fit the urn selected. Shown left to right: #500 Bronze Chest Insert with Gold Impressions Imaging, #310SS Lodi Stainless Steel with Silver Impressions Imaging, and #3526 Embassy Oak with Full-Color Impressions Imaging. • Urn Pendants: Engraving done onto a decorative urn pendant which is hung around the urn. 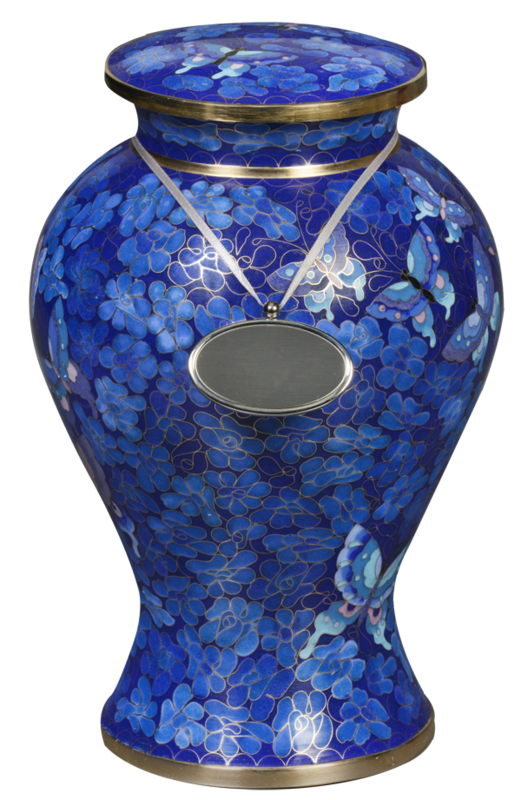 Urn pendants are used to provide an engravable space when the body of the urn is unable to be engraved directly due to the material it's made of, such as with cloisonné urns. Left: #160L Elysse Blue shown with #C401 Pewter Oval Urn Pendant. Right: Detail shown on #C400 Bronze Oval Urn Pendant. Shown top to bottom: #500 Bronze Chest Insert with Gold Impressions Imaging, #310SS Lodi Stainless Steel with Silver Impressions Imaging, and #3526 Embassy Oak with Full-Color Impressions Imaging. Top: #160L Elysse Blue shown with #C401 Pewter Oval Urn Pendant. Bottom: Detail shown on #C400 Bronze Oval Urn Pendant.